Lucky us. 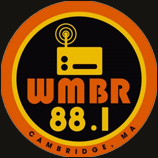 Not only do we have MC Frontalot gracing our fair city on Monday, but the super-soulful Nneka will be making an appearance at the Middle East in Cambridge tomorrow evening. The best Nigerian import since petroleum, Hamburg-based Nneka has spent the majority of her young career garnering attention in Europe. Her debut album “Victim of Truth” was called “the year’s most criminally overlooked album” by the UK’s Sunday Times, who—boldly—said it “is as good as The Miseducation of Lauryn Hill”. Now, I can’t vouch for that. Miseducation was—is—untouchable, in my mind. Lauryn, despite her erratic behavior and demands that everyone (including her Fugee bandmates) call her Ms. Hill, is my girl. 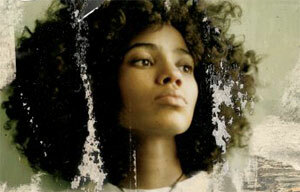 That said, Nneka is pretty awesome. It’s so easy to draw up comparisons between her and the likes of Lauryn, Erykah Badu, and Res – they’re all black women; they all perform from a place of strength; they all have monstrous pipes. And they all have worn their hair in an afro at some point. But that’s about where the comparisons stop. Nneka’s music is specific, and it is defiant. She fiercely embraces her West African heritage, urging other Nigerians to return to their homeland. Her lyrics rage against the less desirable consequences of capitalism, scold those who are politically indifferent, and call out “Jezebels, Judases, bangers, bastards, prophets, men of God, prostitutes, popes, teachers, lawyers, all you scholars, rulers, chosen few…” Nneka is in music to deliver a message. Now, as a self-identified Jezebel , scholar, and sometimes-teacher (and banger? Am I a banger? ), I don’t really require my musical artists to pass judgement on my – or anyone else’s – lifestyle. While I find social/political artists interesting and important, my allegiance usually just falls with performers who put out good music. Luckily, Nneka falls into that rare category of being both, which I can get down with. And she’s better than both the Nigerian underwear terrorist and the Season 3 premier of the Sarah Silverman Show, so come check her out at the Middle East!